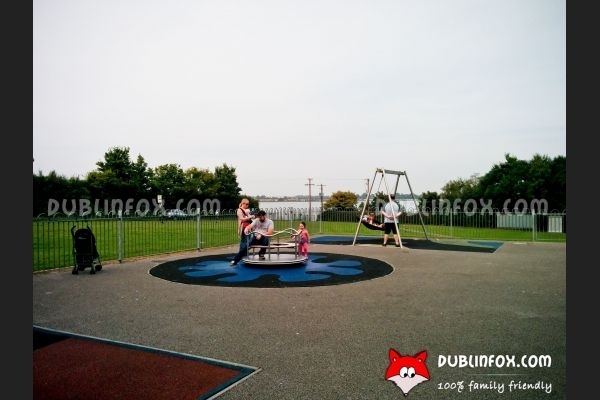 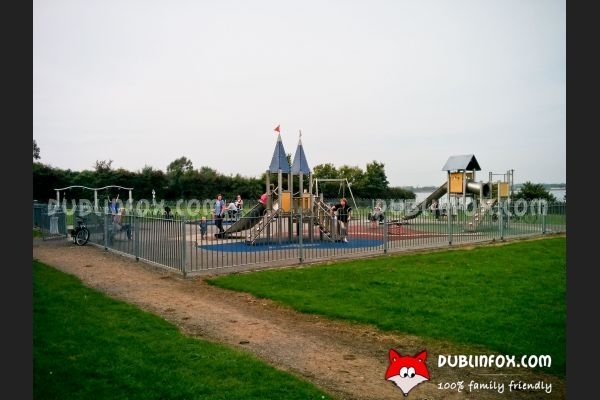 The playground on the corner of Estuary and Old Yellow Walls road is a medium-sized one with a nice view of the Malahide estuary. 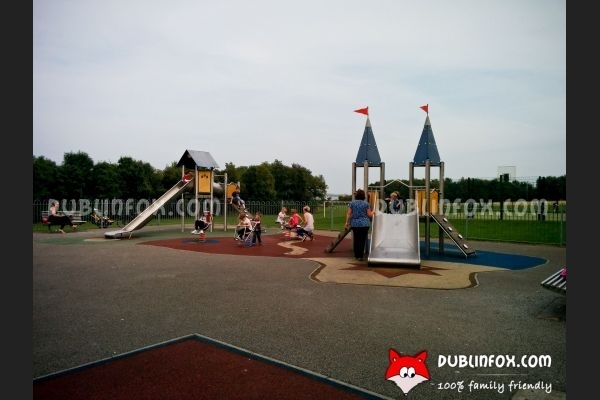 It comprises of two multi-play units with slides (one for toddlers, one for older kids), a few springers, a see-saw, a roundabout, a basket swing, and a set of baby swings. 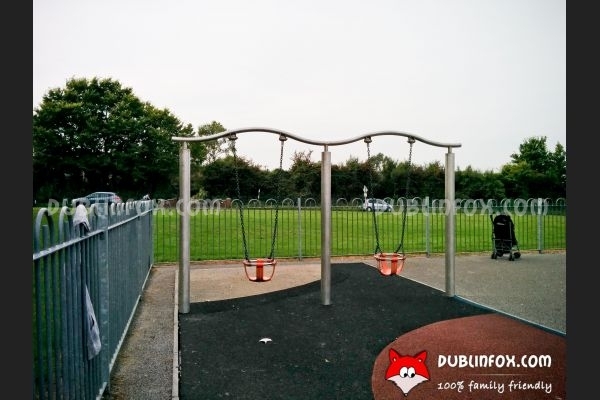 Interestingly, there are no normal swings to turn to if your 3+ child would like to rest a bit after running amok a bit. 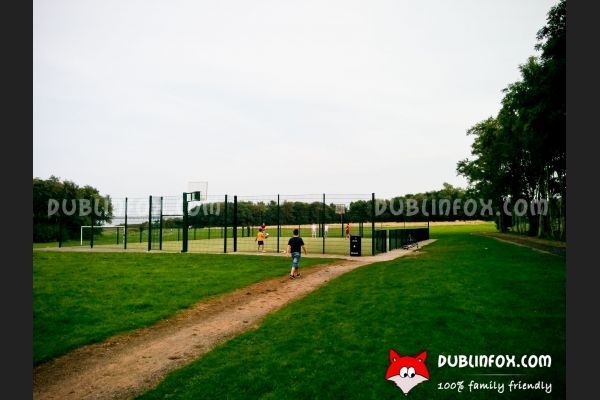 It is a pity, really, but otherwise it is a cosy place to burn some energy: it is fenced, compact and simple.